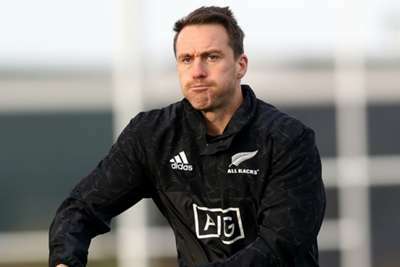 New Zealand coach Steve Hansen has hailed Ben Smith after the veteran Highlanders back confirmed he will move to France with Pau following the 2019 Rugby World Cup. A key member of the side that retained the World Cup in 2015, Smith has featured in 76 Tests for the All Blacks, but will bring his international career to an end to play in the Top 14. The switch to Pau will also see Smith end a decade-long association with the Highlanders. "Ben will leave New Zealand with the very best wishes of everyone involved in the All Blacks," said Hansen. "He's a special person and an outstanding rugby player who has always given - and will continue to give - 100 percent to the All Blacks jersey." Highlanders head coach Aaron Mauger added: "As a coach you always want your best players around, but no one can deny that 'Bender' has earned the right to end his playing career on his own terms; doing what's best for him, [his wife] Katie, [and their children] Annabelle and Walter. "It's an exciting time in any player's career playing in a foreign country and in a new environment. I know the team will be looking forward to playing one last season with him." In an Instagram video released by the Highlanders, Smith acknowledged it had been a "tough decision" to leave New Zealand, but the 32-year-old said he and his family were "looking forward to a new challenge". "I'm excited about the opportunities that may present themselves in the future, but I also realise that my playing time with Otago, the Highlanders and the All Blacks now has an end point," he added. "I think it will be good to be involved in a new environment and a foreign culture for a while, I'm sure it will be a bit of an adventure for both myself and my family."